How can the practice benefit engineers? During the informative interview, Shannon discusses how mindfulness can encourage innovation and impact engineers. She also shares how emotional intelligence is critical to career success. 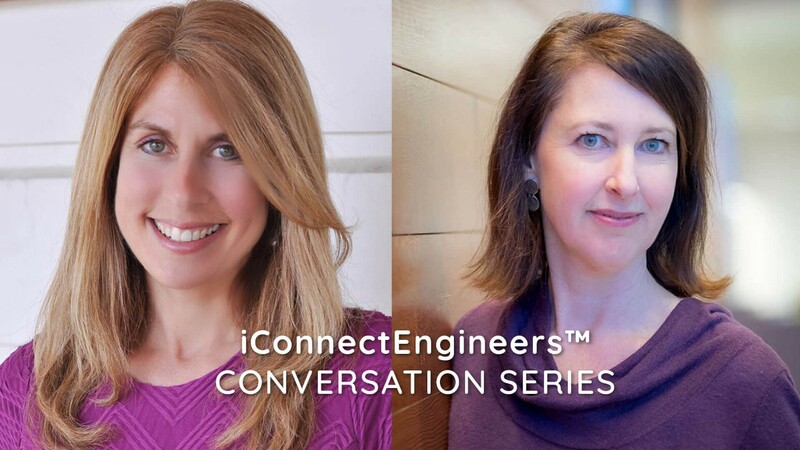 iConnectEngineers™ recently invited Shannon Jordan from Career Ingenuity Group to talk about the positive impact mindfulness can have for the engineering community. Her impressive background includes a B.A. in Business, an M.A. in Counseling and teacher training through the UCSD Center for Mindfulness. In addition to being part of the founding team for Qualcomm’s CareerX career development program, Shannon is one of only 100 Search Inside Yourself (SIY) certified teachers around the globe. SIY is the science-based mindfulness program that originated at Google. Stacey: How did you get involved in mindfulness and the Search Inside Yourself (SIY) program? Shannon: My career has always revolved around career coaching and training for many years in academia and then in the corporate setting. One of the engineers at my company reached out to me if I would help me start a lunchtime meditation group to help employees manage the stress that accompanied busy workloads. It was then that I began to observe firsthand the positive impact that mindfulness could really have in the workplace. I had a personal meditation practice for about 15 years but I had never connected it to my work as a coach so I decided to get some advanced training and became certified in the Search Inside Yourself curriculum. SIY is the mindfulness program that had such great success at Google, working with technical employees. Stacey: As one of the founding members of Qualcomm’s career development program, can you please share an example of how mindfulness can affect an engineer’s performance both at work and at home? Shannon: Information is literally at our fingertips these days. Our attention is bombarded and pulled in many different directions 24/7. Understanding and managing attention in the workplace has been said to be the single most important determinant of business success. Research tells us that our minds actually wander about 50 percent of the time. That means at any given time we’re either worrying about something that has already happened in the past or planning for something that may happen in the future. This is where mindfulness comes in. Mindfulness in essence means paying attention. I like to say that mindfulness is high resolution awareness into what’s happening for you at any given moment. Just as if you were to dial in the resolution on a picture to get more vivid colors, texture, images, and contrast, mindfulness gives you the same clarity and in turn, more data and information about yourself and the world around you. We offered several six-week mindfulness programs at Qualcomm and the engineers reported that learning to mindfully manage their attention in this way impacted their careers in positive ways, such as more efficient and effective conversations with colleagues, and the ability to discern what’s really important in their work (I like to say “separating the signal from the noise,”), and the ability to regain focus when distracted. In this way, mindfulness is directly connected to performance and the quality of our lives in general. You can bring a clear state of focus and attention in almost anything you are doing — while compiling data, having a conversation with a spouse, or hiking on a trail. In addition to explaining how to build your “attention muscle,” Shannon spends time during the video outlining three simple tips engineers can begin implementing to become more mindful at their workplace. She also mentions several apps that can help with employee performance and well-being, including Whil, Headspace and Calm. Originally published at www.iconnectengineers.com on January 26, 2017.